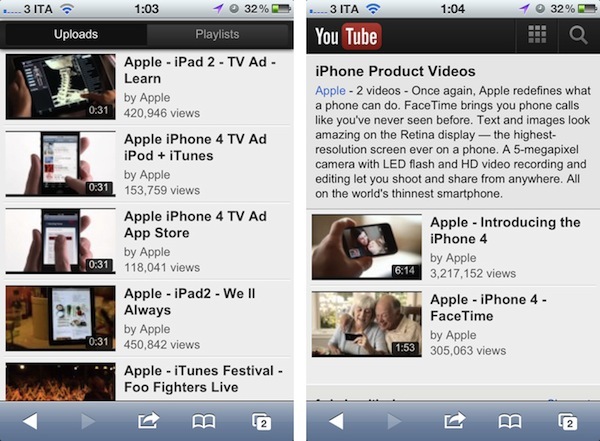 Following the Cosmic Panda experimental design launched in July, it appears YouTube is now testing an updated mobile layout that borrows some of the color schemes and interface elements of this summer's refresh for desktop web browsers. 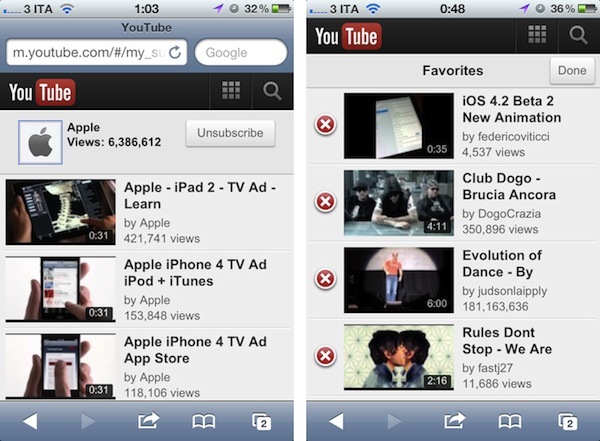 The new mobile layout can be enabled at m.youtube.com/new_visual_design, and I've noticed this by opening the YouTube website from my iPhone (running the latest iOS 5 beta, but it works on iOS 4 too) earlier today. A quick Google and Twitter search seems to confirm that the new mobile layout is a recent change that, similarly to Cosmic Panda, is opt-in and needs to be manually activated. Once enabled, the new design brings a much darker color palette that presents videos against dark toolbars and buttons -- I assume this should make videos a little easier on the eye, but the effect is sort of ruined by Safari's blue address bar. Unlike the standard mobile layout, launched last year, when saving this new design to the iPhone's Home screen you won't get a Retina-ready icon or full-screen web app. This, again, should be related to the experimental nature of the design. The new mobile layout brings updated buttons and a new toolbar to toggle HQ on videos, give them a thumbs up/down, and share them. 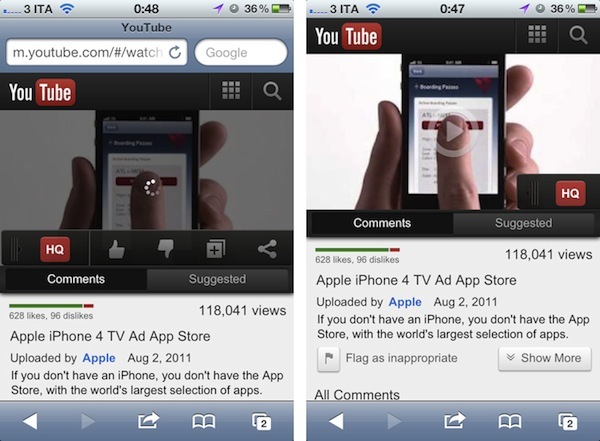 The HQ toggle comes with a neat fading animation and the video thumbnail has new loading and Play controls, too. Below are some screenshots showing the new controls, the updated dashboard and search box, playlists, and more. 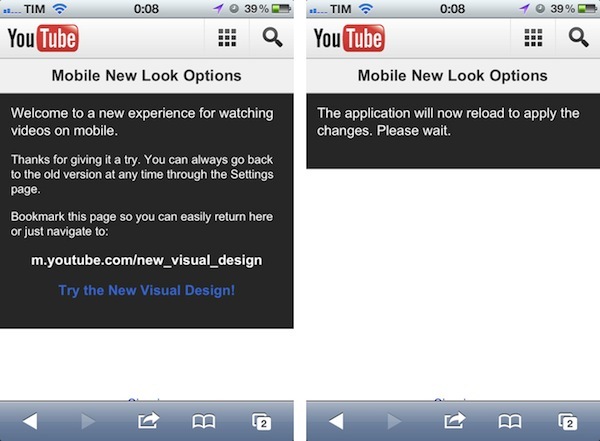 You can enable YouTube's new mobile layout by visiting m.youtube.com/new_visual_design with your iOS device. Earlier this year, Google rolled out a completely new mobile search page with updated icons for quick access to several Google products, including Gmail, Maps, and Google+.